According to a recent AgWeb article, frequent rainfall and wet soil conditions across the state of Nebraska have disrupted early season field operations such as herbicide applications. 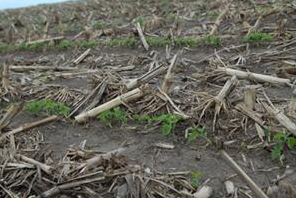 AgWeb reports many soybean crops in Nebraska have been planted without receiving preplant and/or preemergence herbicides, but that farmers can apply residual herbicides after soybean emergence to maximize soybean yield. According to Jhala, farmers should take crop stage, tank mix partner, weed height, and carrier options into consideration when addressing weed control with residual herbicides applied after soybean emergence.